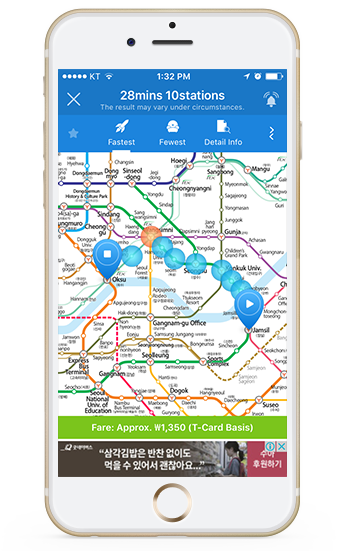 If you are staying in Seoul, you need this app if you don’t want to get lost in the 600 stations of this massive subway. It’s free, it will tell you the best route, the timetable and the time it takes to go from A to B.
Sunshine is an app that allows to directly stream and transfer all your files to any device. Before traveling to Korea (or any other country), I always download some movies or TV series on my phone on tablet for the waiting hours on the airport. Sunshine makes this easy and fast. Access you computer by selecting it on My Devices, then select your movies and download. 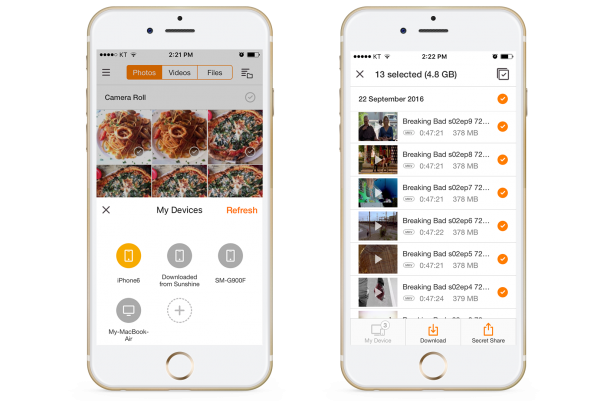 It also allows you to share media files really fast. 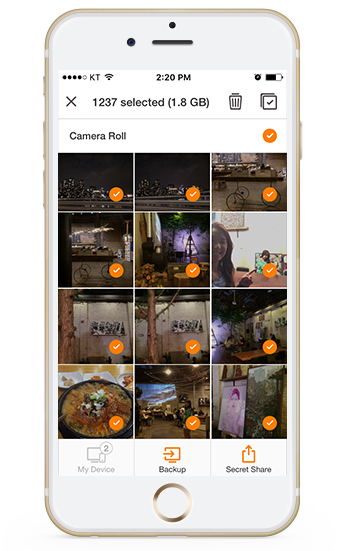 Very useful to share all your pictures after a trip with your friends or family. The best is that there are no size limits and it’s really fast. In Korea everyone use Kakao Talk instead of Whatsapp. In 2015, Kakao Talk was the most frequently visited app in the world with an average of 55 times per user a day, insane!! One of the main differences in comparison with Whatsapp is the big variety of stickers. 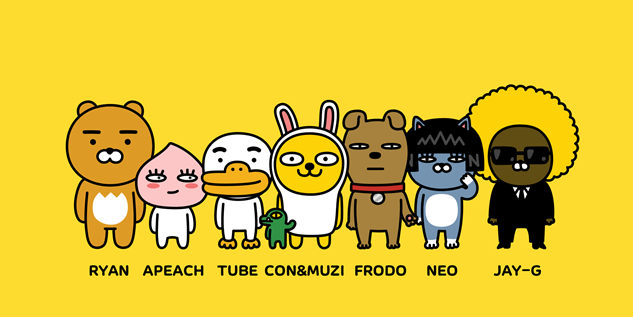 The most famous stickers are the Kakao Friends. These cartoons are as famous as movie stars in Korea. Naver is the equivalent to Google Search in Korea. However, the most amazing thing of Naver is that it is full of user generated content. Korean bloggers review and provide information about everything! For example, if you search for a good restaurant it will show you short blog posts/reviews of users with pictures of the food, how to get there and opening time information. The problem: You need to know Korean. *TIP: Find the best restaurants without knowing Korean! Copy this word in your notes ‘맛집’, which means ‘Top Restaurant’. Then, paste it on the search bar followed by the name of the area you are in. 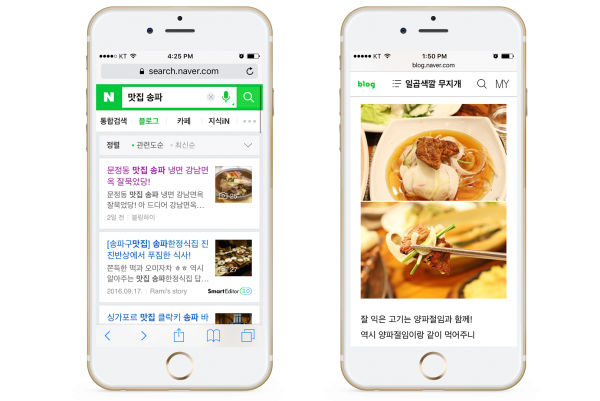 Then, tap on the search button and select the blogs tab ‘블로그’. On the example I wrote 맛집 송파. Songpa (송파) is a neighborhood of Seoul. You can check the Subway app and use the name of the stations after 맛집. Most of the bloggers include a map in the end of the post, so will easily find the place. 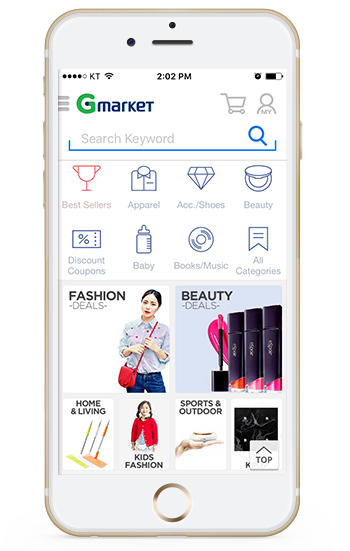 Gmarket is a ‘Korean Amazon’ where you can buy anything you need. Make sure you download the Global version, as the Korean version is not available in English. I had to deal with the customer service because I ordered a wrong size of shoes and everything was solved with a couple of phone calls. Hi, any map app in English to replace Google map to use when in Korea please?